Part of having a great sweet potatoes includes taking great care in how they are packed. Here is a glimpse inside of our operations, and to see how much care goes into delivering high quality sweet potatoes. 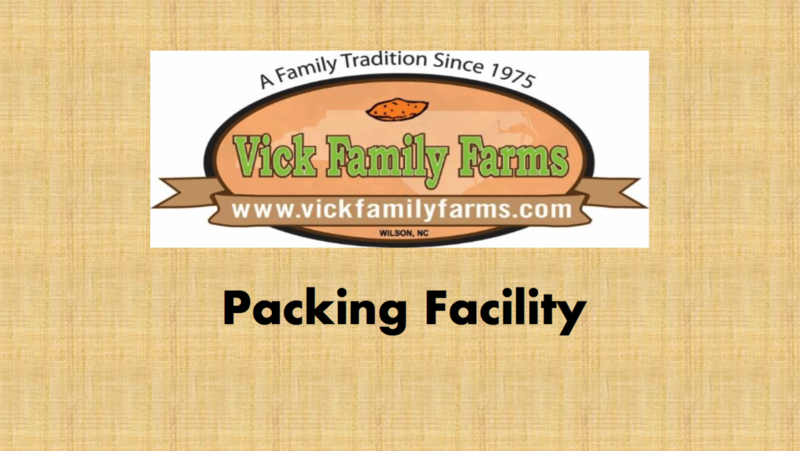 Vick Family Farms: State of the Art Packing Line Facility from Design Dimension Inc on Vimeo. Click on the image below to learn about our packing process and our state-of-the-art facility.